Because Jena’s positive vibes are pretty much contagious, we thought we’d share her great news to make your day, too! She just accepted a job offer from Concentrix, where she’ll be starting as a licensed healthcare representative next week. She found her calling through our Office Professionals class and she says it means the world to her family. “I’m very excited about the new career path,” Jena says with a smile. “It means that I will be able to get my life back on track and not have to constantly worry about how I am going to provide for my kids.” Jena was in the middle of adopting a child, when a work injury suddenly put her career in healthcare in jeopardy. She had to move fast, so she came to FSC for some help. “Jena surrounded herself with support,” says Krissy, her Wisconsin Works case manager. Jena was hoping to find a career where she could use the skills she’d developed as a CNA. W-2 and FSET worked together to ensure she had the resources for success, from rental assistance to career guidance. 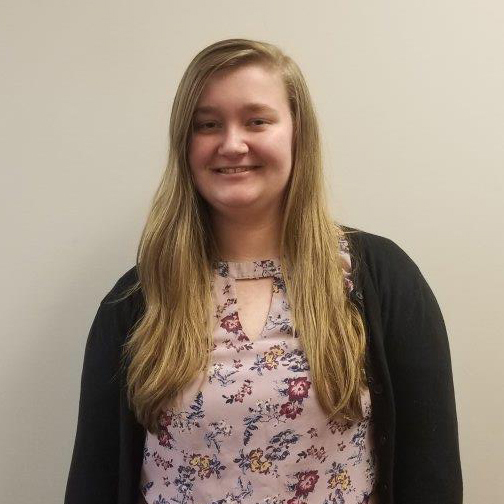 With her caring, outgoing personality, they also encouraged Jena to join our Office Professionals training in February. 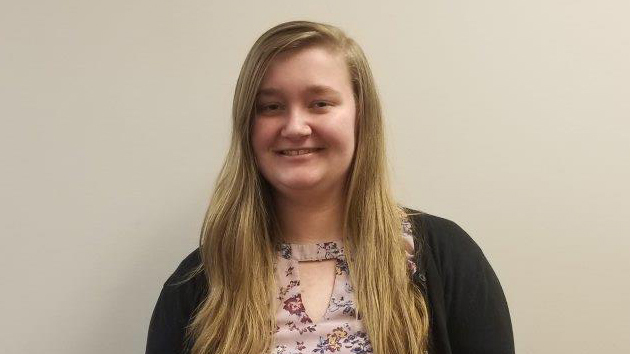 “They took my goals and views into consideration and helped me find a great career in the field that I was looking for, instead of pushing just any job on me,” says Jena. Concentrix noticed her during the course. 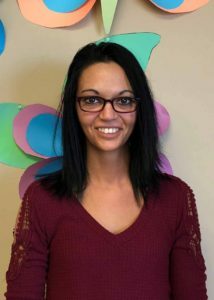 They were looking for someone with a medical background who was willing to be trained and licensed in healthcare insurance, and Jena was the perfect fit! Jena is still in the process of adopting her little girl, and having a stable job is key to making sure this goes through. She says that she is hoping that she can go back to school to learn more about where this career can take her. Congratulations, Jena!! With a list of accomplishments that gets longer each year, Angelica’s been living her college dream. She’s currently on the premedical track at the University of Oklahoma, where she’s the Founder and President of their Doctors without Borders Student Chapter. This summer, she’ll be completing an internship at a hospital in Spain, as part of her research on cancer therapy treatments. Even with her talents and passion, Angelica says that her college journey might have never got off the ground without Upward Bound. Angelica always wanted to attend school out of state, but she wasn’t sure if her family could afford it. “Without the team’s help with essays, applications, and monetary assistance, I do not believe I would have made it this far,” says Angelica. She never anticipated earning a full ride, but with the help of her team, Angelica “made it” all the way to the University of Oklahoma after earning a National Merit Scholarship. Since then, she’s continued to surpass even her own expectations. Angelica has been on the President’s List and Dean’s Honor Roll for the past three semesters, adding that “I have more scholarships and awards I can name if you would like, but I feel like these are the main ones.” She plans to go on for a MD/PhD after her undergraduate career to become a pediatric oncologist. We’re very proud of this young woman, and we know she’ll continue to do amazing things. 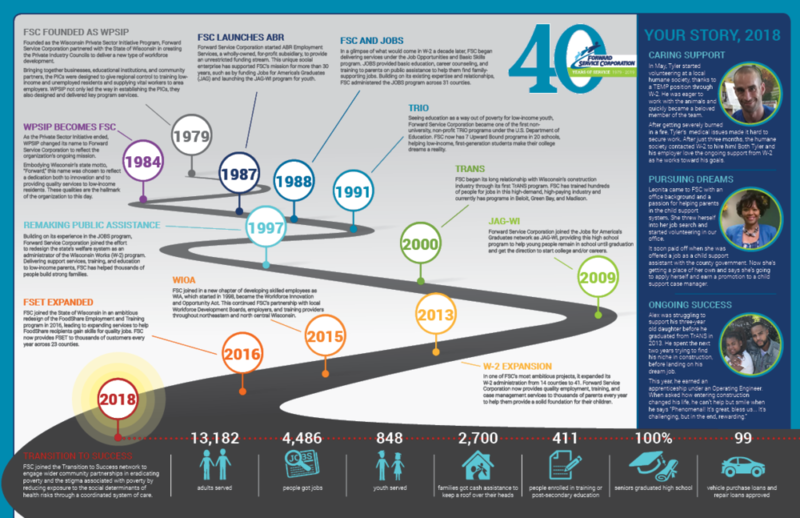 We’re celebrating our 40th year of service! 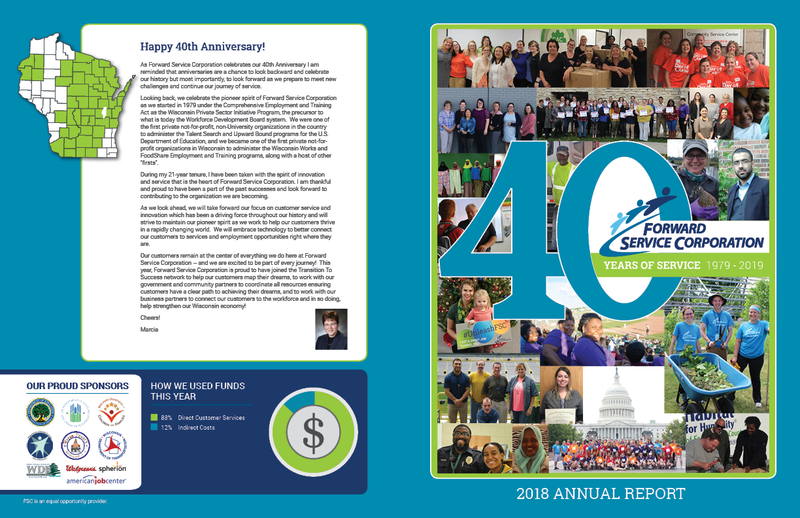 Please click here for a copy of our 2018 Annual Report, which celebrates some of the milestones we’ve had since our inception in 1979. When Hayleigh (pictured left below) joined Upward Bound in high school, she thought it was “just another program” her mom wanted her to join. Now whenever she hears that UB is coming to visit her UW-River Falls campus, she insists on talking with their students. That’s because she knows that Upward Bound can help make college dreams come true. 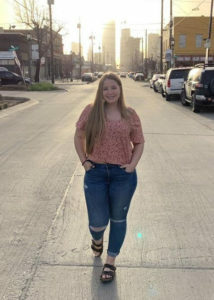 An outspoken, candid young woman, majoring in Marketing Communications, Hayleigh says that “without this program bringing the students to tour colleges, I would have never found my dream school.” These tours gave Hayleigh an inside look at college life that she never would have experienced otherwise. Plus, her advisers were eager to help her decide where to apply. “Dorothy and Brooke… had all the answers to my questions and were there for me my whole high school career,” she says. These “helpful and educated role models” and all the other “amazing people” she met in UB ignited Hayleigh’s passion for the journey ahead. “I hope to one day get a great job in Marketing Communications and make enough money to travel the world,” she says. She’s well on her way to accomplishing BOTH of those goals. She’ll be earning her bachelor’s degree soon – but not before starting her world travels in a study abroad program! Congratulations, Hayleigh! Send us pictures of your travels! Every time she met with her team, Katlyn felt encouraged and enabled to do more. Her Wisconsin Works case manager Christa was always ready with resources and helpful information. “She really cared about me succeeding in life,” Katlyn says, adding that “there’s a lot out there that I can get help with that I had no clue about.” Christa even showed her how she could achieve her college dreams as a new mom. “I started to have hope that I could do it,” she says. 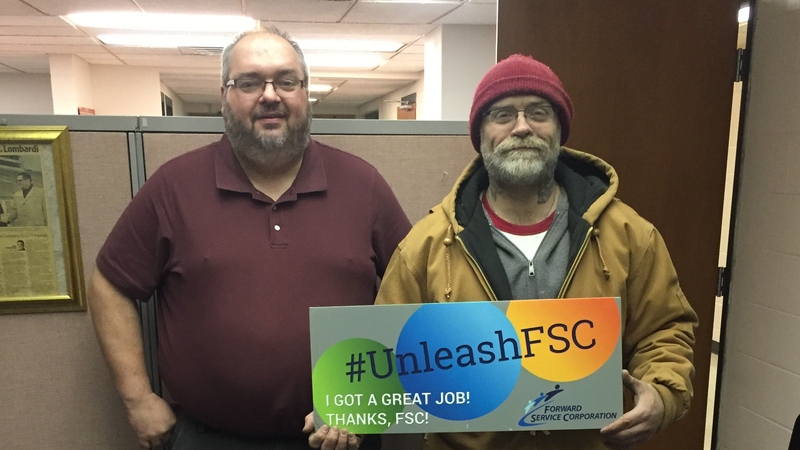 Then she met a new case manager, Laura, who pushed her to succeed and helped her enroll in FSC training to learn new skills. Katlyn just started her new job at the Kohler Company call center. They’re currently in training, learning how to take apart faucets, so she can answer customers’ questions when they call. “I spoke with her today,” says Laura, “she believes this will be a life-long career opportunity.” Katlyn is excited for what this means for her family and feels like her entire outlook on life has changed. “If it wasn’t for Forward Service Corporation, I don’t think I would have the confidence… to succeed in life as I do now. I would have let all my barriers get in the way.” We know that you can overcome anything, Katlyn! Great work! Antoinette’s smile has a way of making everyone’s day a bit brighter. Making people happy is one of the reasons she loves working in the restaurant industry. But Antoinette was struggling to support her family while turning her passion into a career, however, until she joined Wisconsin Works. Today, Antoinette has finally found the opportunity she’s been looking for. Antoinette is always upbeat, even when life is tough. 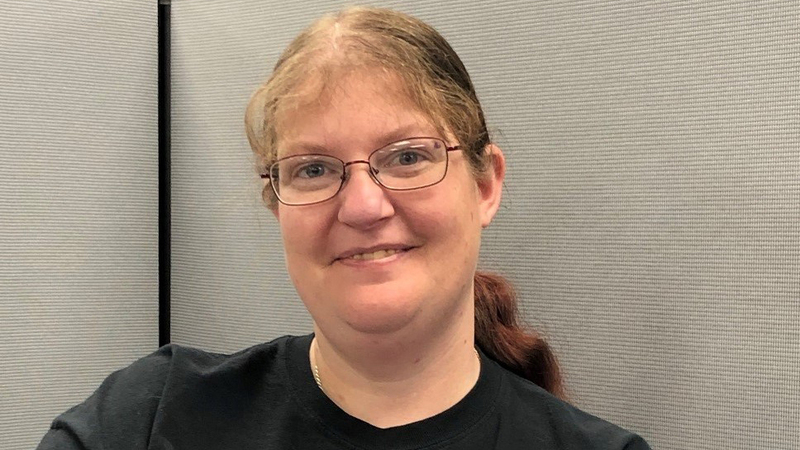 She was having a hard time paying rent when she first joined W-2, but she knew that her team wouldn’t let her down. Sure enough, her case manager quickly got her the help she needed. With a referral to Integrated Community Solutions, her family was approved for housing. Now with a stable place to live, Antoinette intensified her job search. She quickly found a part-time job to bring in some money. She wasn’t ready to give up on her career in the restaurant industry, however, and she knew W-2 could help her find the right fit. 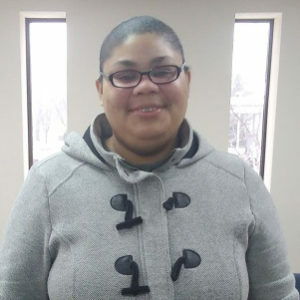 Antoinette updated her resume and worked with our Account Representatives to find job leads. Antoinette also volunteered at the front desk to improve her skill set. Before long, she saw an opportunity at Culver’s and she got excited. 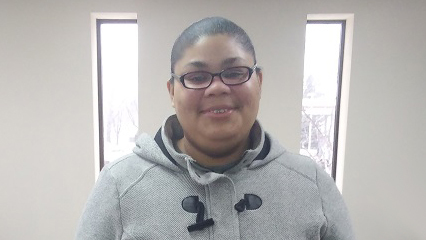 Antoinette knocked the interview out of the park and started working at Culver’s this February. Her fun personality and solid work ethic make her a teammate everybody loves. It’s a job with great benefits and opportunities for advancement, which she’s excited to explore. She’s hoping to eventually earn a promotion to manager and see where her career takes her. Congratulations, Antoinette! For Tenzin, going to college isn’t just about taking the next step in life. After losing her grandparents to cancer, she knew she had to be part of the cure. 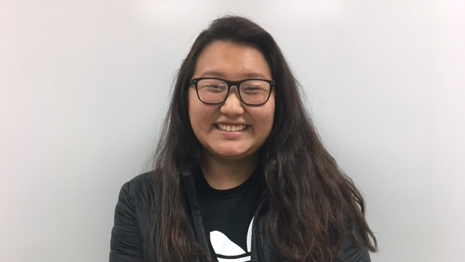 She’s been accepted into some of the top universities in the Midwest, including UW-Madison and the University of Minnesota-Twin Cities. “If it wasn’t for Upward Bound,” however, Tenzin says that she might never have walked through a college door. Tenzin’s parents are from Tibet, and since they’ve never been to college, it was hard for them to help her achieve her goals. 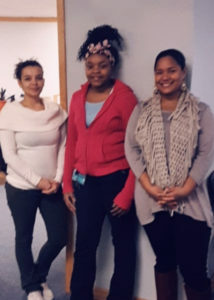 Thankfully, last year a new Upward Bound program launched in her school, just in time to help her find the right path. 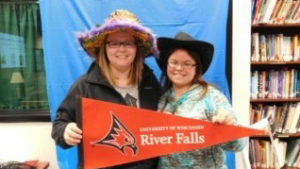 They started planning her future, applying for colleges, and visiting campuses. “They also helped me financially with the ACT,” she says, “and having the support and guidance that I need.” She even got to spend a summer on campus, which opened her eyes to the possibilities that lay ahead. “I really enjoyed the summer program,” says Tenzin. They took a bus to Nashville as part of their summer trip, where she got to see Vanderbilt University. 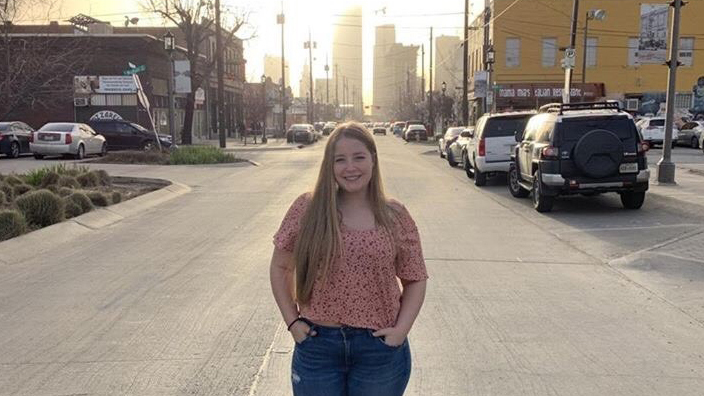 “I have never traveled south in the US… I enjoyed seeing the social and cultural differences… and it was cool to meet college students and connect with them.” She says that experiences like that helped her grow and figure out how to pick a school that would nurture her talents. 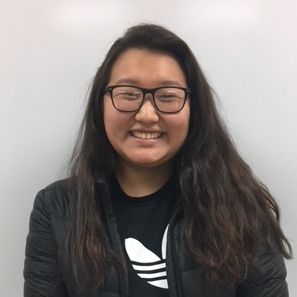 Tenzin plans to start her pre-med studies at UW-Madison this fall… that is, if she doesn’t get accepted to Harvard first, where she’s also applied. “She is a brilliant student,” says her UB advisor Brenda. “She sets her goals high and always accomplishes them.” We can’t wait to see where your studies take you! Congratulations, Tenzin! Failure is not the alternative to success,” says Shanteria. “It’s something to be avoided, but it’s only a temporary setback on a bigger, more significant course. What truly matters is how you react to and learn from that failure.” Shanteria’s ability to learn from her mistakes gives her a resilience we love. When she realized that leaving Wisconsin Works early was a big mistake, she came back from it more motivated than ever. As a result, her dreams are coming true. After moving to Wisconsin from the deep south, Shanteria learned about W-2 from her mother. While reluctant to enroll, she soon realized “I had to do something quick to make sure my son had everything he needed.” At the time, she didn’t see much value in the program’s activities and she soon went back to her old routine. It didn’t take long, however, before she realized that “jumping in and out of jobs just to keep the money flowing” wouldn’t get her the life she truly wanted. Shanteria decided to give W-2 another try, determined to give the program a chance. 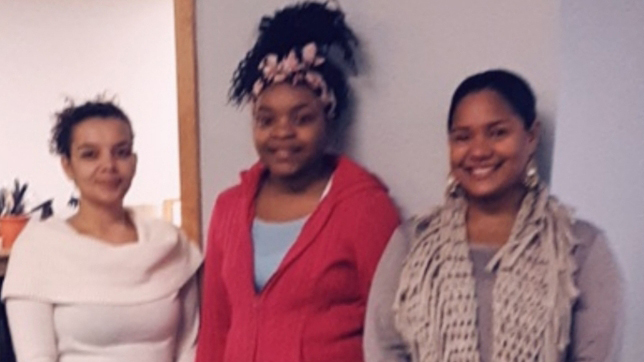 This time, “I met such amazing caseworkers that let me know they were going to help me with every goal I needed to meet.” Together, they arranged childcare, found transportation, and put her on the path to steady income. You’ve come a long way, and we’re so happy to work with you! Congratulations, Shanteria! After eleven years as a caregiver, Nikita has a lot of experience helping people overcome health barriers. 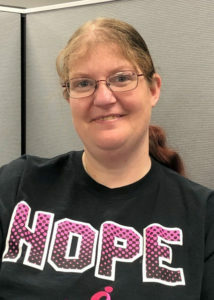 When an injury forced her to find a new career, she challenged herself to follow her own advice and find a way to make life great for her family again. With a little help from FSC, she’s starting the career she hopes will become the means to her dreams. The instant Nikita walked through our doors, we could tell she was one of the most caring people you could ever meet. “It’s obvious from the moment you meet her,” her case manager says. Just as obvious is her determination to be independent. That’s why she enrolled in both Wisconsin Works and FSET. She wanted to make her transition to a new career as smooth as possible for her family. Nikita was relieved that she could work toward her goals by training for a new career, even if her health stopped her from starting one yet. Through online training, Nikita discovered that she had a knack for customer service and computer work. By the time her doctor said she was okay to rejoin the workforce, Nikita was already applying for jobs in customer service with her team. They also ensured she had steady transportation through gas vouchers and clothing vouchers for interview attire. This is helping her make a great impression today at her new full-time job with Spectrum! Nikita has big dreams for the future. “This job means everything,” she says. Now that she has a steady income, she hopes to save up and send her to college one day. She even hopes to own her own business. 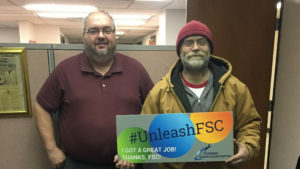 Robert likes working with his hands, but after a work injury put him out of commission for two years, he knew it was going to take more than a release note from his doctor to get back into the workforce. Eager to prove that he could be a useful teammate again, Robert joined Wisconsin Works to get the start he needed. Within just one week, he’s already been hired full-time! It’s easy to see how Getchell Builders and Home Maintenance saw Robert’s potential so quickly. Before he got a medical release, Robert was already volunteering at his church for several hours a week, picking up whatever small jobs he could to help out. On the advice of his Account Representative, Robert also started volunteering at St. Vincent de Paul. Together, this packed some helpful references into a short period of time – but Robert had no idea that things would turn around for him so quickly. Robert plans to save a good portion of his earnings for his children and the rest for a new vehicle. Great job!